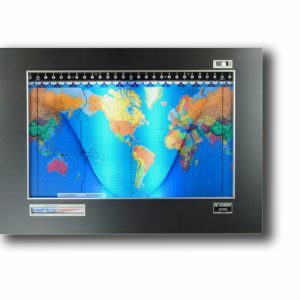 All Geochron mapsets are the same size, and these vinyl exterior panels are our most affordable clock. 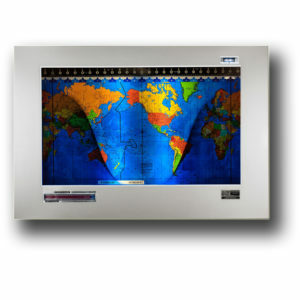 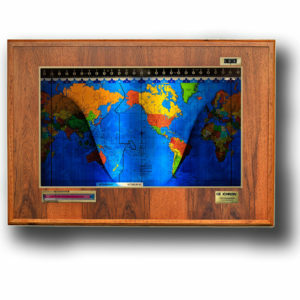 Using high quality vinyl to frame the mapset, the Geochron Kilburg in Vinyl is our most affordable clock. 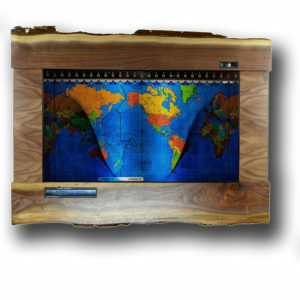 Like all Geochron’s the Vinyl models are built around the same mapsets and precise Dura Drive motors (2016), Create a special Geochron with a selection of mapsets and lighting options and we’ll build it for you in Portland, Oregon.